Here the big fashion and accessories firms have their own space: shopping malls, jewelers, important national and international firms or beauty establishments, among others. Huge designer and art showcases that show the fashions and trends of last season. 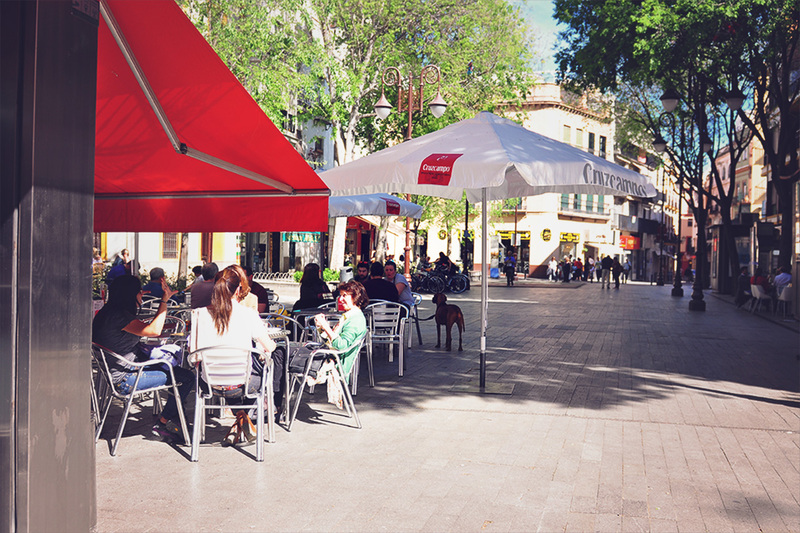 You will also find an excellent choice of restaurants, gourmet spaces and famous cafes in streets as busy and full of life as the pedestrian Sierpes. 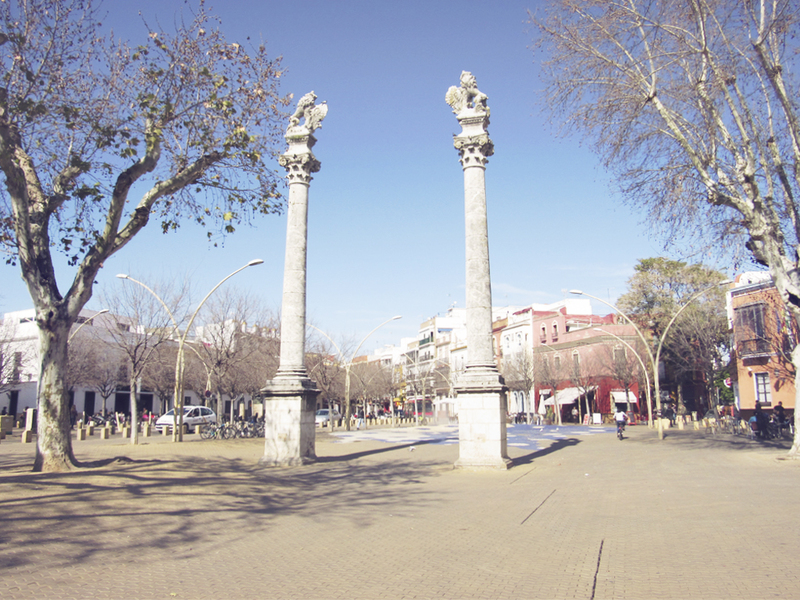 It is the Seville of Discovery, which connects the Cathedral with the Encarnacion zone. In these streets you can find the Seville trade with the greatest flavor: flamenco, bride, party, Easter, shoes, fabrics … Do not forget to stroll through the streets Francos and Alvarez Quintero or enjoy places as beautiful as Alfalfa, Pan and Salvador where you can taste exquisite sevillanas tapas. 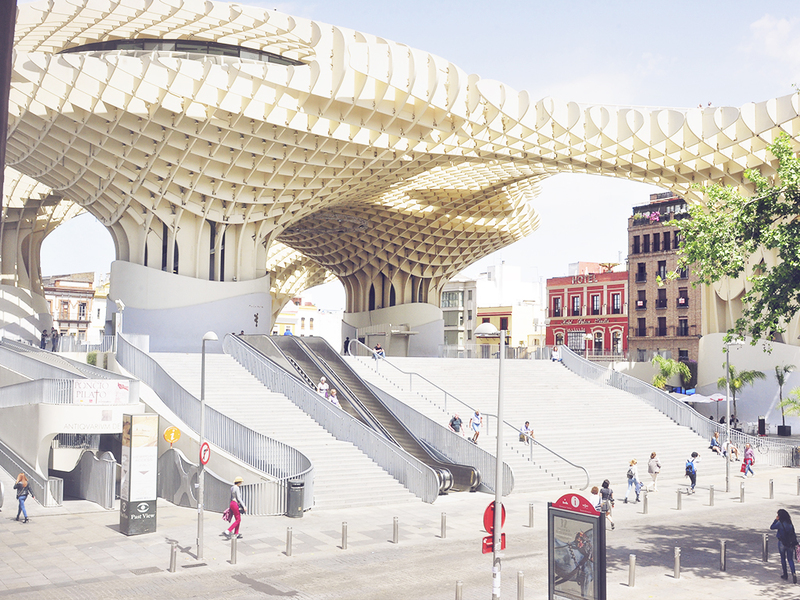 In the most modern square of Seville are merged past (Antiquarium and its archaeological remains) and future (Metropol Parasol, popularly known as Las Setas). The same happens with the commerce: tradition and vanguard meet in its most famous streets. Strolling around Puente y Pellón, Cuna, José Gestoso or Regina does not leave anyone indifferent. Rivero is one of the streets that has been ringing right now. Located between Cuna and Sierpes, in a short time they have opened here a dozen interesting establishments, alternative and cosmopolitan shops with a wide and renewed offer of chic folk, pret-porter, children, flamenco, bride and party. 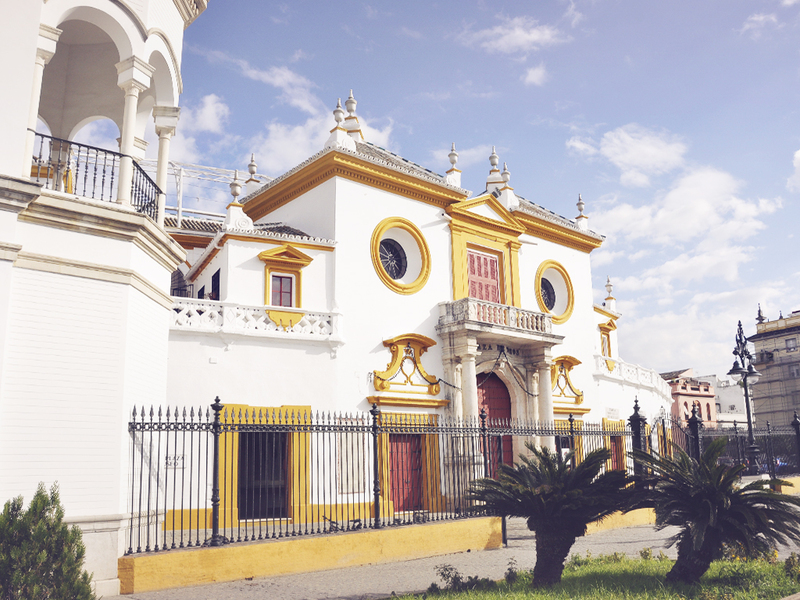 Surrounding the Plaza de Toros, the bullring Real Maestranza, where you will find a neighborhood with a lot of solera, with shops that breathe that bull air that many come looking for this city. Here the typical Sevillian gastronomy plays a starring role in each of the restaurants, bars and bodeguitas of the area. The old-timer and cosmopolitan Alameda de Hercules, which in recent years has undergone an unprecedented modernization, is one of the most charming suburbs of the city with a wide and varied gastronomic offer. 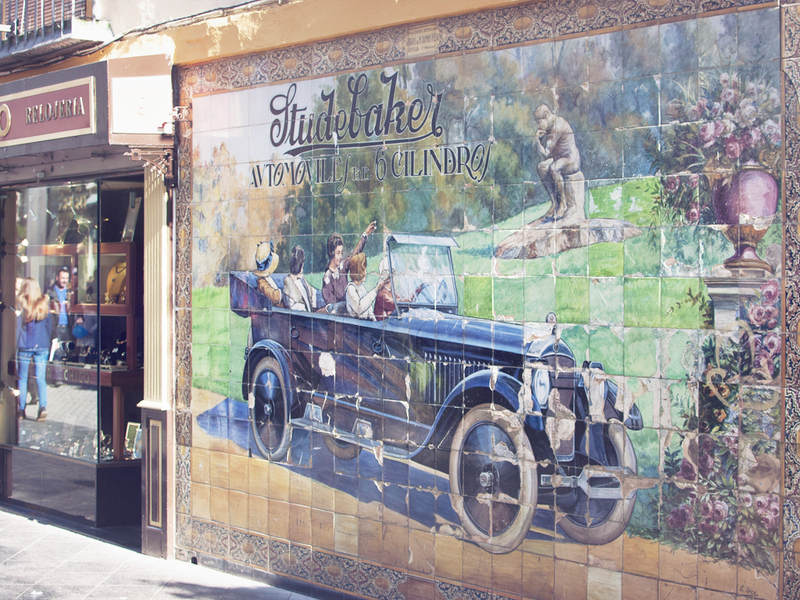 This place has become one of the favourite zones for the Seville people to enjoy a good breakfast, tapas and even drink drinks.